The firm represents business and commercial clients and their insurers in a broad range of commercial litigation in state and federal courts throughout the southeast region, and for certain clients, nationally and internationally as well. Our clients include small closely held businesses as well as Fortune 500 companies. For over two decades, our lawyers have handled a wide variety of disputes arising from complex commercial contracts, commercial torts, unfair trade practices, intellectual property, royalties, commercial landlord/tenant disputes, commercial collections and foreclosures, derivative and shareholder suits, lost profits and lost business opportunities, as well as other general business disputes. 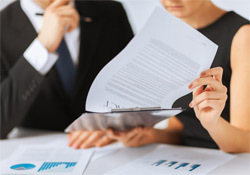 Our attorneys have significant experience in the increasingly important area of alternative dispute resolution, including arbitration and mediation.